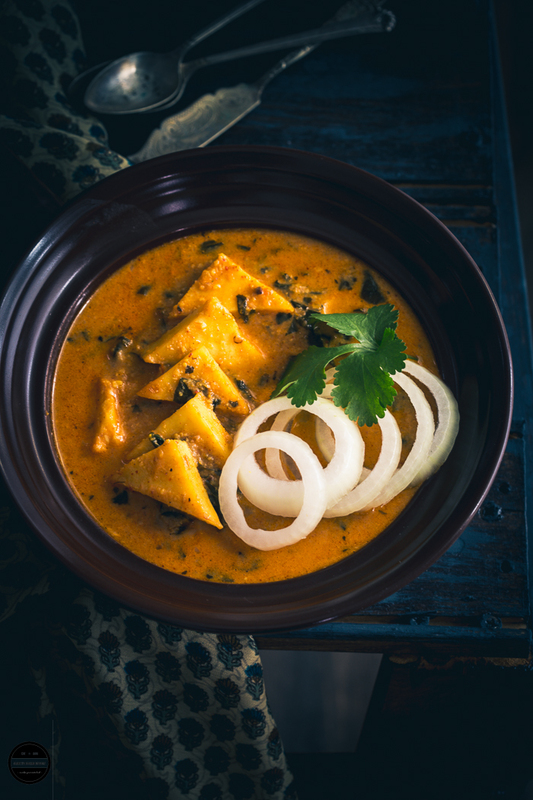 Paneer Makkhanwala or Paneer Makhni is a well known classic vegetarian curry of North India. 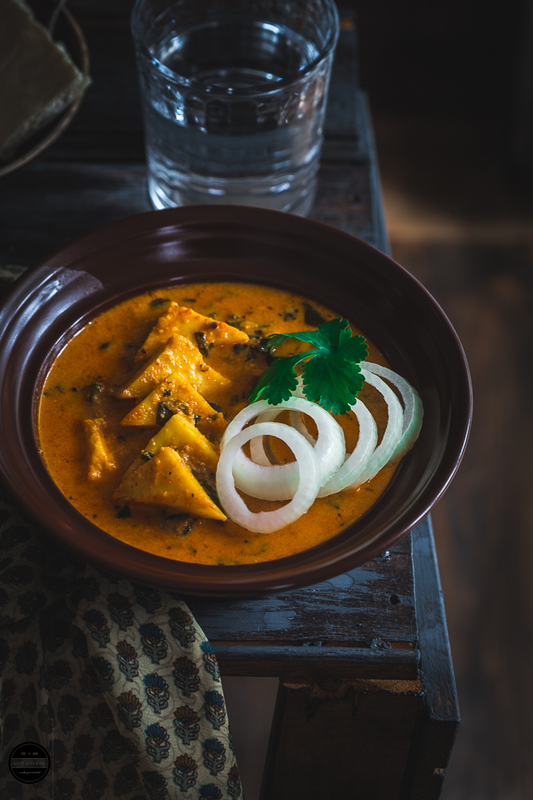 In this irresistible and delicious curry, soft paneer (Indian Cottage Cheese) pieces are simmered in an exquisite, rich and silky sauce made with butter, tomato, and aromatic spices and served as a main vegetarian dish with hot and soft buttery naan or roti. Paneer curries are a crowd pleaser! 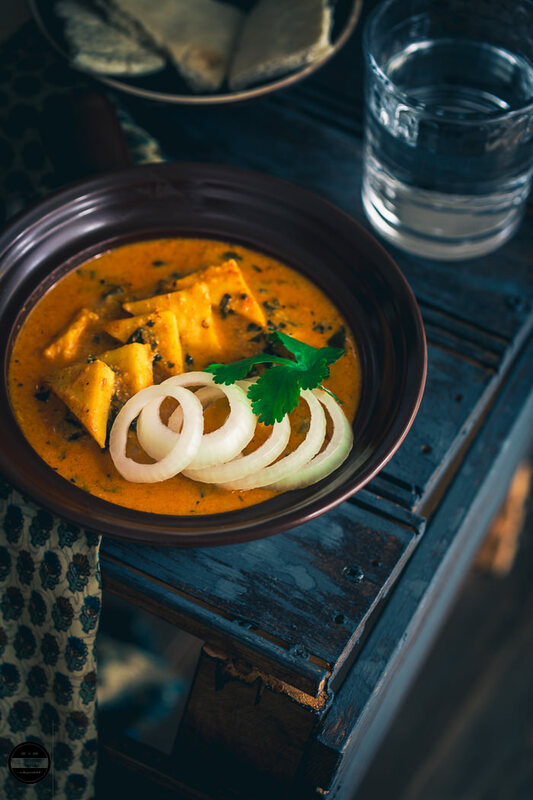 I love to cook paneer curries, as this dishes are effortless and easy to prepare if you have to make for many, as there is not much peeling or chopping required and most of the Paneer curries are prepared with similar ingredients such as tomatoes, butter, cream, herbs, and spices. 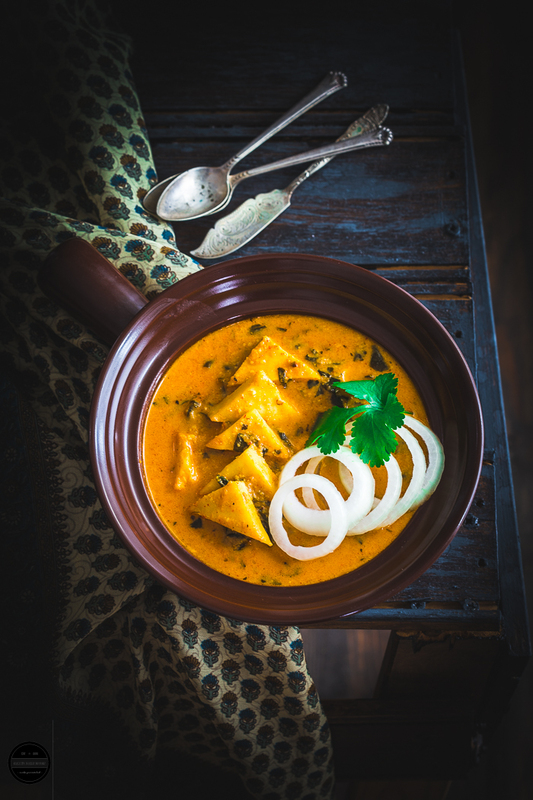 You must have seen on the restaurant menu card or heard the name as Butter Paneer, Paneer makhni or Paneer Butter Masala, the chance is that these are prepared in the same sauce. So let's see how did I make Paneer Makkhanwala? Instead of butter ghee or double cream can be added to this dish. This recipe can be prepared without onion and garlic. This north Indian classic dish is rich and flavourful, prepared with Indian Cottage Cheese and aromatic and buttery tomato sauce. Often served as a main vegetarian dish. Cut Paneer into the desired shape. ( I cut into triangles)Place tomato, onion, garlic, ginger, chillies, whole spices, a pinch of salt and little oil in a pan and add 2 cup water.Bring it to boil and simmer for 10-12 minutes. Once you see that tomato and onions are cooked, turn off the heat.Place the tomato mixture in a blender and blend until smooth. You can use a hand blender too.Now strain it through the sieve for a very fine smooth sauce.Heat oil in a pan, add cumin seeds, once they splutter add tomato sauce. And add all the dry masala powder and dry fenugreek leaves. If the sauce is too thick add 1/4 cup water.Let the sauce simmer for a while then add salt and sugar. Cook further for 5 minutes. Now add butter.Now add paneer pieces and let them simmer on a gentle heat for five minutes. Once the sauce gets right consistency turn off the heat.Serve hot and garnish it with the fresh coriander leaves and onion rings. Serve with Naan or Roti.Enjoy! Amazing photography dear.. looks awesome.. so tempting . My little one love Paneer . Will surely try your version .. 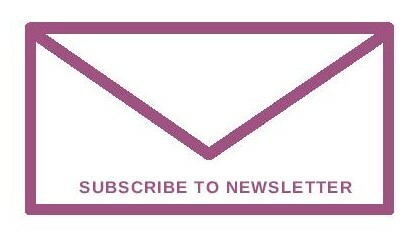 Thank u so much for including my link..
As siad before on FB, I am diving into it now. yes, amazing photography and lovely presentation. jab picture hi itna khoobsurat hai toh, taste to laazawab rahega. Hahahaha..hope you try this very soon :) Thanks Ritu. The close up shot of the paneer makhanwala left me stunned! Gorgeous gravy and I bet that the dish is beautifully flavoured with the subtle hint of masalas and butter. Thank you Vidya. I really appreciate your words. 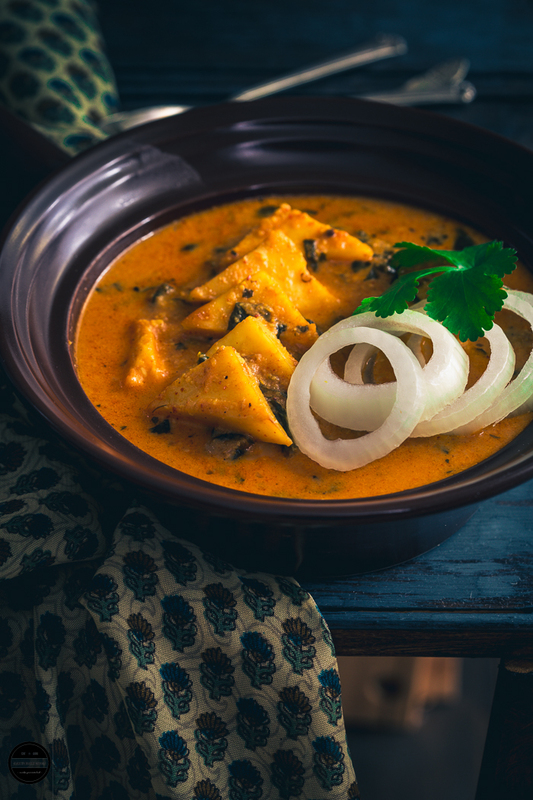 This dish is paneer lovers heaven, the gravy looks so rich and royal. Only if I had some naan, that bowl would be wiped clean :D Looks very tempting, Jagruti! 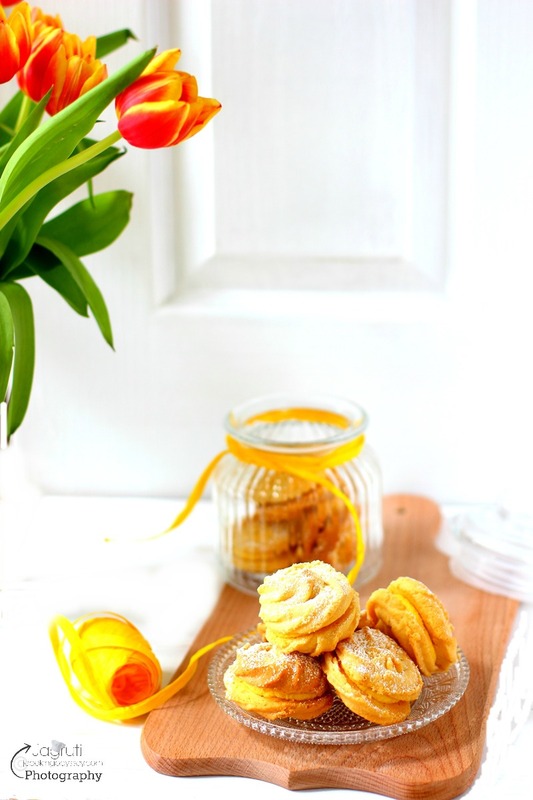 Lovely recipe and photos. Paneer is the favourite of my daughter also. Jagruti - a very happy birthday to your darling daughter! Daughters are precious! ��..
No doubt that there is not better dish than Paneer Butter Masala to celebrate any occasion. This is sooooo delish! Creamy gravy looks superb.. Yummy share..
Gorgeous clicks as usual and love the creamy sauce. Who can resist any paneer dish... my hubby can! Can't imagine why one would not love paneer. Looks rich and delicious jagruti!! We love paneer gravies, I love the way u have cut the paneer into triangles ❤️ Thanks for including my paneer bhindi in your linkbacks!! This looks wonderful , I loved the way you photographed this dish. Loved the recipe ! 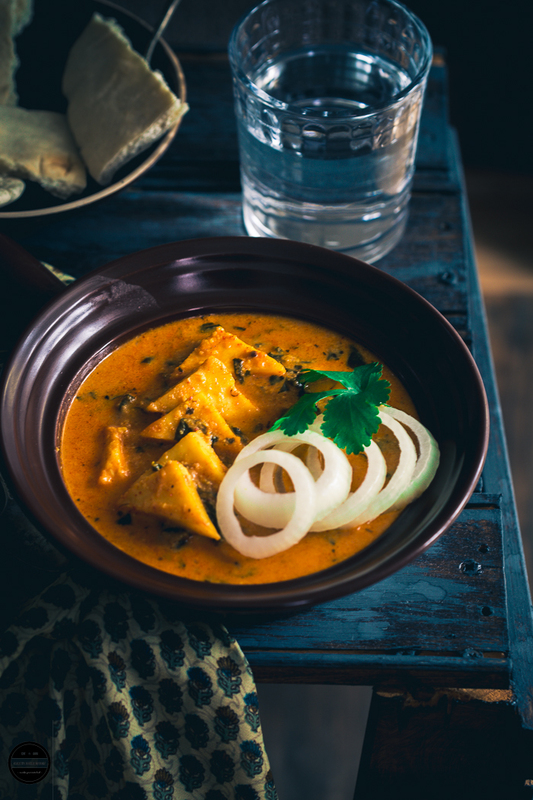 Omg that is a lip smacking paneer curry and I am in love with the GORGEOUS pictures. Beautiful and luscious paneer, so yummm. Feel like grabbing a parata and diving in.. I love the way you have presented the dish. It looks amazing (super se bhi uper). I haven't cooked panner makhani before so hope to try it out soon.